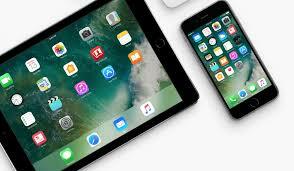 Hey guys i just want to share some few ways in which you can easily update your apple devices. Here is are some steps on how to update your iPhone, iPad, or iPod touch to the latest version of iOS—wirelessly or using iTunes. If you can’t see the update on your device, you can update manually using iTunes. So today am going to show you two alternative way to update your iOS. Before you carry out update on your apple device this what you must do ……. Plug in your device into a power and make sure your connected to the internet. Am going to introduce two method in which you can choose from and update your device. Update your device using wireless method. in this method you have to be careful to read the message that says that an update is available. once this is observed, simply tap Install Now. Or you can tap Later and choose Install Tonight or Remind Me Later. If you tap Install Tonight, just plug your iOS device into power before you go to sleep. If you don’t know your password, see how to reset your apple device password. If you see an error message while trying to update your device wireless. If you need more space for a wireless update, you can update using iTunes or delete content manually from your device. Whether you use iTunes or update wirelessly, you’ll have the same amount of free space on your device after you update. in this second method, we are going to Update your apple device using iTunes. If you tried the step above and you can’t update wirelessly on your iOS device, you can update using this manual method which implies you using iTunes on a computer that you trust. If your computer is using Personal Hotspot on the iOS device that you’re updating, connect your computer to a different Wi-Fi or Ethernet network before you update.